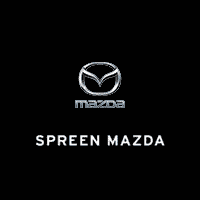 Spreen Mazda is a customer-oriented Mazda dealership located in Loma Linda. Our goal is to change your expectations of what it is like to buy a car. We seek to provide a car shopping experience that is as transparent and honest as possible. Our team is focused on working with you to find the ideal vehicle for your needs as a driver. Visitors to Spreen Mazda will find a team of automotive professionals ready to help them find their ideal Mazda model. The Mazda lineup of vehicles includes many models that deliver impressive features paired with an added degree of sporty driving fun. If you are looking add spice to your daily commute, a car model like the Mazda3 or Mazda6 would be the ideal choice. The Mazda3 is also offered as a hatchback for even more versatility. It may seem a little informal to welcome you to our dealership via the website. But, with so many vehicle consumers looking online these days, we thought it appropriate. Crossovers have become the new family car. Mazda offers multiple models that blend crossover performance with sports car driving capabilities. Spreen Mazda offers all of Mazda’s popular crossovers, such as the Mazda CX-3, Mazda CX-5, and Mazda CX-9. If there is a specific vehicle you are looking for, and you can’t find it in the Spreen Mazda inventory, we will help you track it down. If you want something different, we can get it! Once you take home your new Mazda from Spreen Mazda, we can help you keep it in the best condition possible. Our service center specializes in the vehicles that make up the Mazda lineup. We can take care of everything from routine oil changes to more substantial repairs. Schedule an appointment with our team to keep your car running strong for years ahead. Customer service is at the heart of all we do at Spreen Mazda. If you have any questions about the vehicles or services we have to offer, our team is here to help. Contact us to learn more about everything we do here at Spreen Mazda.